We went to downtown LA this past Saturday night to watch the world debut of Ken Block’s latest ode to liquified rubber, Gymkhana 7. 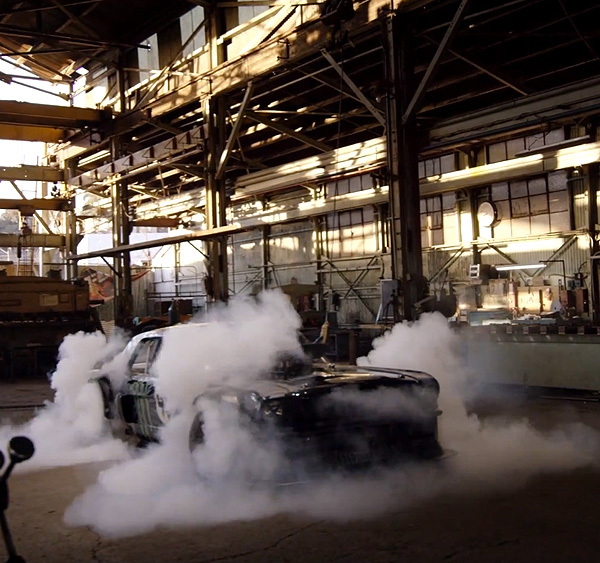 While the sixth edition of his Gymkhana series was slightly disappointing, let’s just say that Gymkhana 7 returns Block to the forefront of automotive bad assery. Eschewing the Ford Focuses he’s used in past editions, this time Block strapped himself into an 845-horsepower Mustang, a highly modified 1965 Stang with huge flared fenders and, get this, all wheel drive. And he then proceeds to lay waste to the entire landscape of Los Angeles, much like he and his team did to San Francisco in Gymkhana 5. As Ken grew up in Los Angeles he said this video was something special for him, and indeed you can see the dedication in nearly every frame of the film. It is pure automotive destruction, including some pretty humorous odes to southern Cali culture (donuts at Randy’s Donuts, anyone? ).